Your guide to driving revenue with irresistible emails. Email marketing continues to be extremely cost-effective when implemented correctly. Send too many boring emails, and you’ll end up in the spam folder. 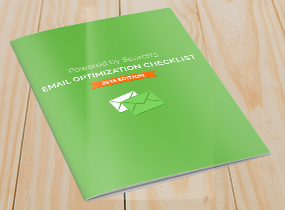 Send highly personalized and targeted emails, and you’ll end up with extra revenue. It might seem simple, but email marketing is very challenging due to the fact that everyone is constantly bombarded with useless messages. Use this checklist to stand out, to make your brand unforgettable, and to drive more revenue. Learn how to build titillating emails with high open rates. Personalize email campaigns so they sound human and affable. Use emails to push leads further down your sales and marketing funnel.